Very few of us can get through life without experiencing at least one sore throat every few years and when a sore throat takes hold it certainly can be more than just a simple “pain in the neck”. A growing number of people are realizing that although some over-the-counter products may help alleviate symptoms they do not get rid of the problem. Another concern people have are the questionable ingredients in over-the-counter medications. Strep throat is an infection caused by bacteria with symptoms including throat pain, white patches on the tonsils, swollen (neck) lymph nodes, and fever. Having a runny nose or cough generally does not accompany strep throat. Although anyone can get strep throat, children between the ages of 5 and 15 tend to get it most often. Acid reflux is another antecedent to a sore throat. This is actually considered an overlooked cause of sore throats. If all you have is a sore throat and you feel totally fine with the exception of experiencing acid reflux then you need to get the acid reflux under control otherwise that sore throat will plague you. There is a plethora of environmental factors that can irritate our throat from air pollution to chemicals. Oil-based paints when used indoors can trigger a wicked sore throat, screaming too much at a concert, and even some perfumes and colognes that are laced with chemicals can trigger a sore throat. The main solution for any of these is prevention but in the case of air pollution this is a serious issue that you won’t find an immediate solution except wearing a respiratory mask. Salt has a long history that dates back to the oldest medicinal scripts known. Ancient Egyptian papyruses in 1600 BC used sea salt for a wide range of treatments including preventing infections. Ancient Greeks used sea salt more than 2,000 years ago and they knew it had great anti-inflammatory effects. Not all salt is created equal. 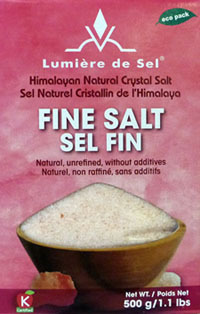 Stay away from regular table salt as it is devoid of many health-nourishing minerals. There are countless studies out there showing that ancient sea salt sources are superior to all other salt sources and ancient sea salt sources include Himalayan and Andes Mountains salt. These salt sources are considered the purest in the world because they were deposited over 2 million years ago and they are free of pollutants and toxins. Each has dozens of minerals vital to our health and the actual content of sodium is lower than all other salts. Gargling with warm ancient sea salt water several times a day will help you seek natural relief from a sore throat. Eucalyptus (Eucalyptus globulus): Eucalyptus has an aromatic oil that produces a cooling effect on inflame tissue and the tannins have a soothing astringent action. Make a tea out of crushed leaves if they are available. Failing that, add essential oil to a nice warm bath and inhale (although the tea is method is preferred). Knotgrass (Polygonum aviculare): Knotgrass is quite common and considered a nuisance by many yet a tea made with 2-3 teaspoons of dried knotgrass can help to treat a sore throat and mild respiratory complaints. Licorice (Glycyrrhiza glabra): Licorice root has been used for centuries in Europe and China as a sore throat remedy. Not only can licorice infusion soothe a sore throat but it has an expectorant effect that can help with colds and other respiratory ailments. Marshmallow (Althaea officinalis): For thousands of years marshmallow root has been used for treating a sore throat and other ailments. A tea made with the root will help a sore throat and dry cough. Plantain (Plantago major and minor): Plantain is well-recognized as an external soother yet it is also great to use for sore throats and inflammation of the mucous membranes in the mouth and throat. Plantain has bactericidal activity which can be lost when heated. Add 3-4 teaspoons of dried plantain in cold water (or sugar-free juice) and let infuse for an hour before drinking. Slippery Elm (Ulmus rubra): Slippery elm is a popular choice by many herbalists in treating sore throats as well as a host of other health ailments. This can be used as a tea. Baking soda (aluminum-free): Baking soda can be used to help ease skin irritations as well as irritations on tissue. Combine a cup of warm water with half a teaspoon of baking soda and half a teaspoon of salt. Blend well and gargle this solution three times a day. Cayenne Pepper: A cayenne pepper mixture to gargle can alleviate a sore throat. Use 1/4 cup of hot water and 2 tablespoons of cayenne pepper. Stir the cayenne pepper into the water until it is totally blended then gargle. Be sure to spit it all out if you are not fond of hot spices! Cinnamon: Cinnamon helps reduce the amount of mucus produced in your throat. Use cinnamon sticks to make a strong tea. Cloves: If you can tolerate the strong taste of whole cloves then chew on these. Local Garlic: Chewing fresh local garlic won’t give you nice breath, but it can help with your sore throat. Garlic is naturally great at killing bacteria, making this a perfect natural remedy for things like strep throat. Bacterial infections can be slowly killed through chewing on a small clove of garlic from time to time. (Never use garlic imported from China.) Be sure to gently crush the garlic as you chew it so that the allicin will kill the bad bacteria in your mouth and throat. Ginger: Ginger tea has been used for centuries to help a sore throat. Oregano: Oil of oregano holds the key to health in so many ways however, at the onset of a sore throat add three or four drops of oil of oregano in a cup of water, stir well and drink. It is very strong so you may have to increase the amount of water. Sage: Two teaspoons of fresh or dried sage leaves and add to one cup of boiled water that has cooled for 10 minutes. Cover it up and let it sit for about 20 minutes. Add a small pinch of ancient sea salt and use this liquid to gargle after straining the sage. What may work for one person may not work for another so you might have to try a few of these remedies until you discover what works best for you. Salt, bar none, has helped more people with sore throats (and respiratory ailments) around this planet than any other sore throat remedy. Use ancient sea salt along with other known remedies and discover how quickly you’ll have relief. Duke, J. A., Ph.D. (1998). The green pharmacy: the ultimate compendium of natural remedies from the world’s foremost authority on healing herbs. New York, NY: St. Martin’s Press. 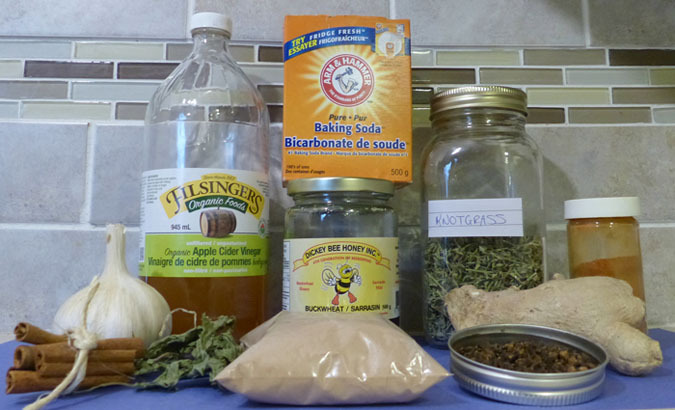 What’s up,I log on to your blog named “Edible Wild Food Blog » Sore Throat Cures the Wild Way and In Your Kitchen” daily.Your writing style is awesome, keep it up! And you can look our website about free anonymous proxies. ACV is a miracle for sore throats, strep throat, and chest colds! I used to get strep every year until I learned about ACV. We use sage tea for sore throat, to gargle plain or to drink with leon and honey for colds. Also bee propolis helps a lot.